Wow! It’s February and we have green grass, rain, and temps up to 8 degrees some days! 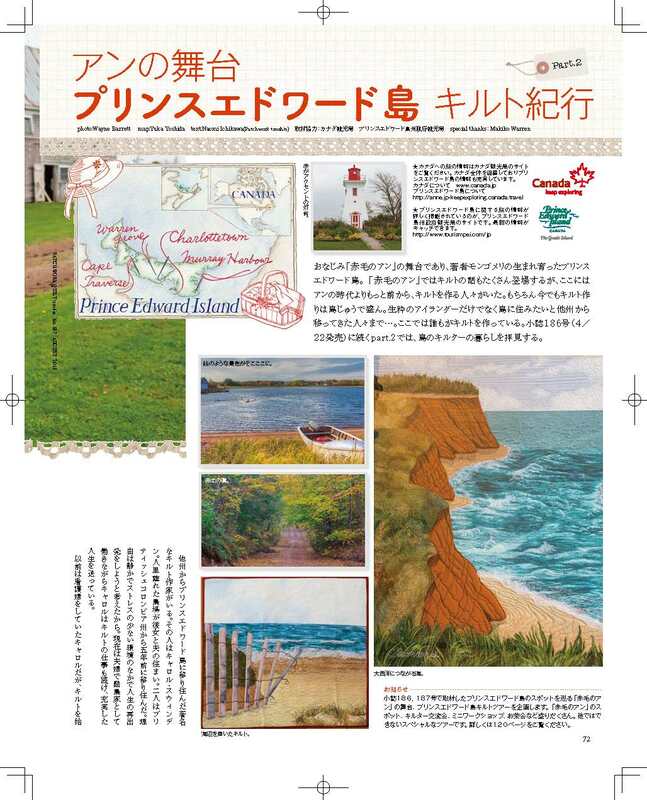 I’m enjoying Nova Scotia! I have been busy being creative in a number of different ways. 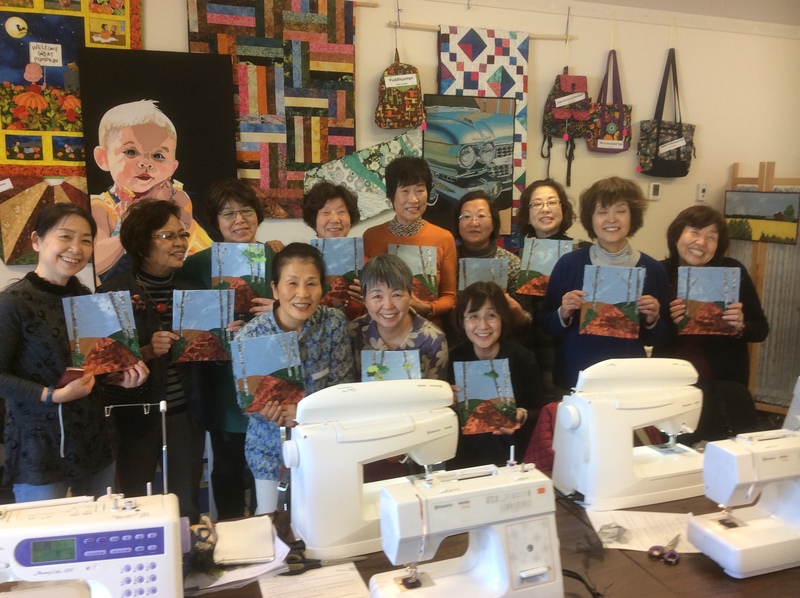 There was a quilt class last weekend with another wonderful piece made by a student. 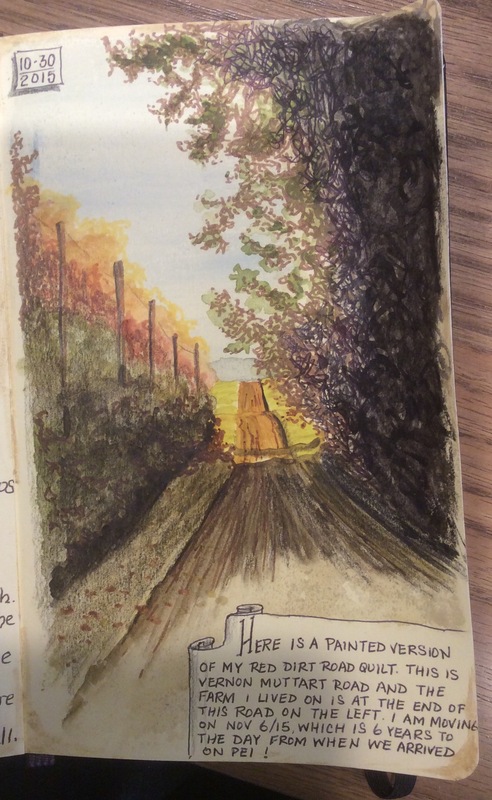 I love the frosty look, especially the distant trees which were drawn with the machine! Way to go, Linda! For those of you who are local, there will be classes this Saturday and Sunday, contact me if you wish to join us! 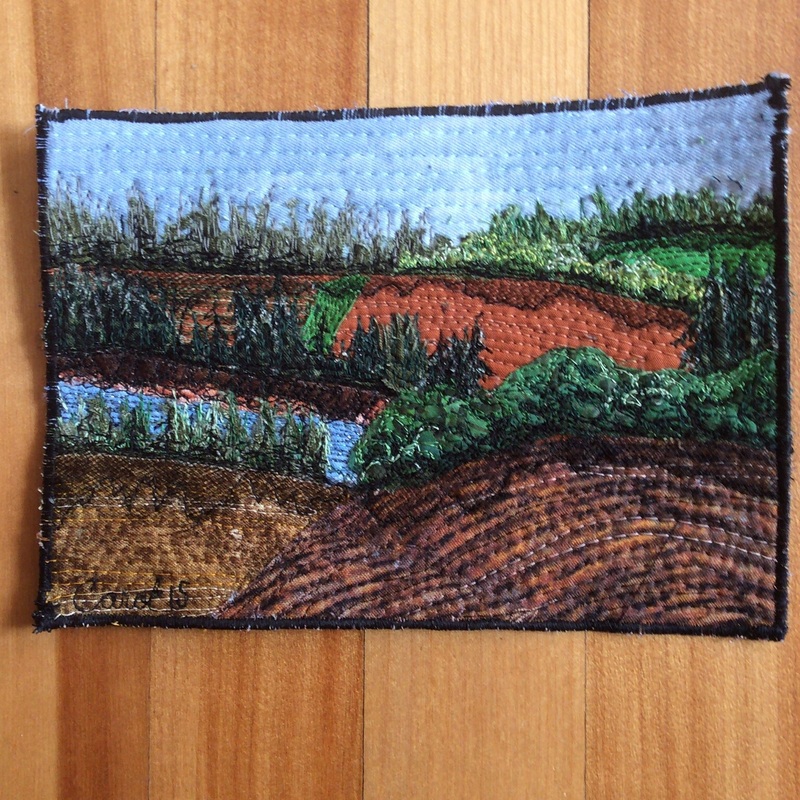 I am always designing new quilts and, of course, local scenes take precedence. 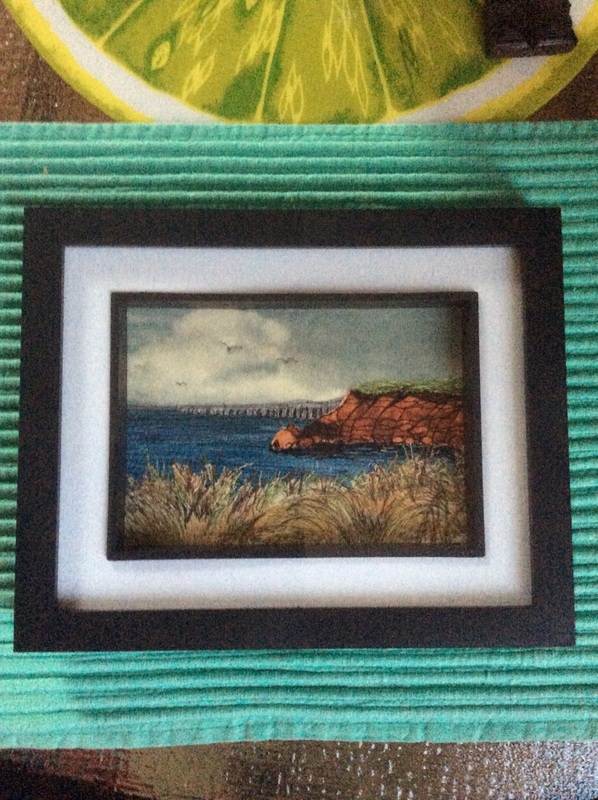 Here is one I did last week of Smugglers Cove, which is not far from here. It it even looks kind of interesting from the back! 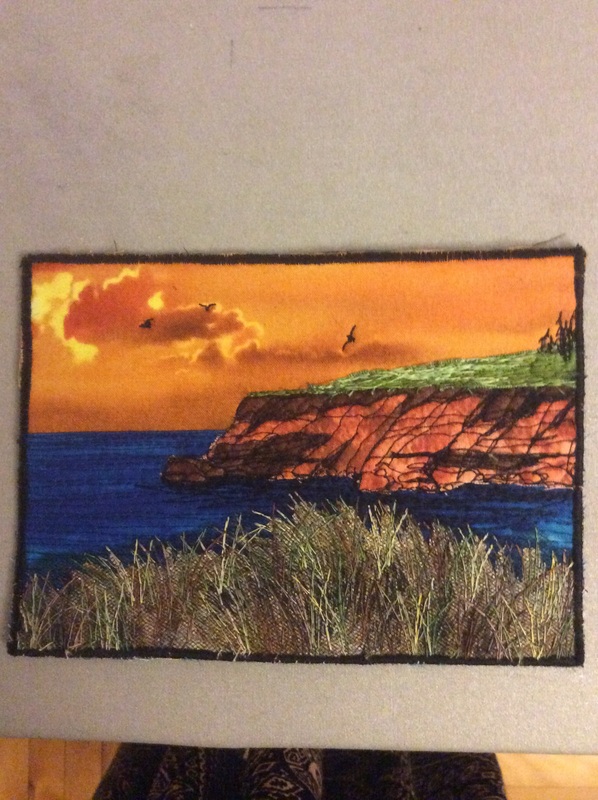 I stitched more water than I needed too! Alright…last but not least, I am working on my next teaching/ speaking tour….it will be in ALBERTA!! 2017. 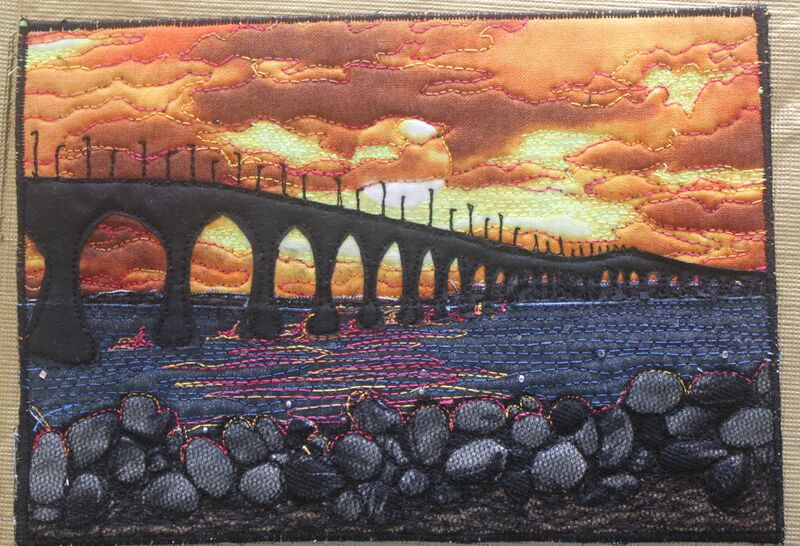 If you live near to Edmonton, Calgary, Red Deer, or Lethbridge and would like to see my trunk show or take a class, contact your local guild. 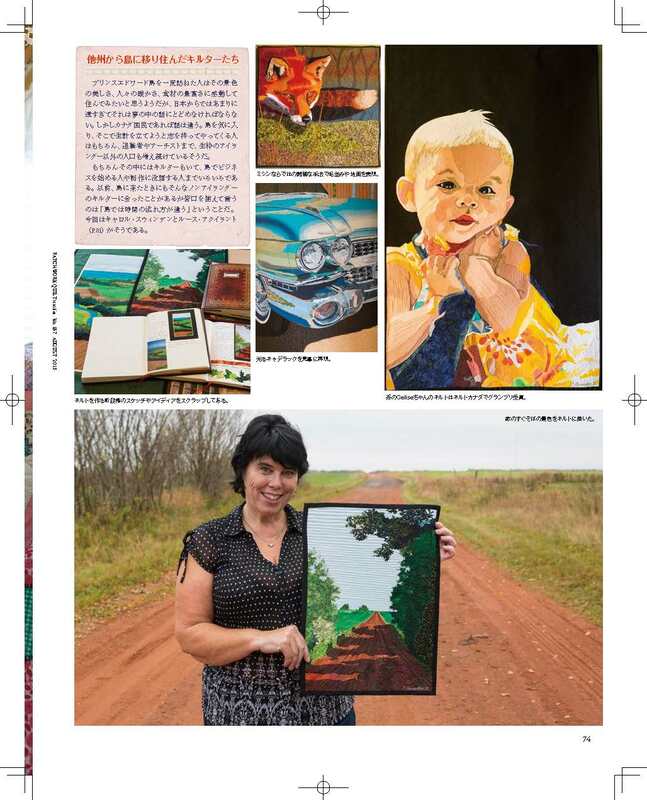 I have sent out my e-brochure to them and would love to meet you! I have already heard from guilds in Edmonton and Lethbridge…the more the merrier! Up and running in 2016! Well, the studio is set up now. I just need more machines! I had a class for one late last week and then yesterday, a class for 3 gals. 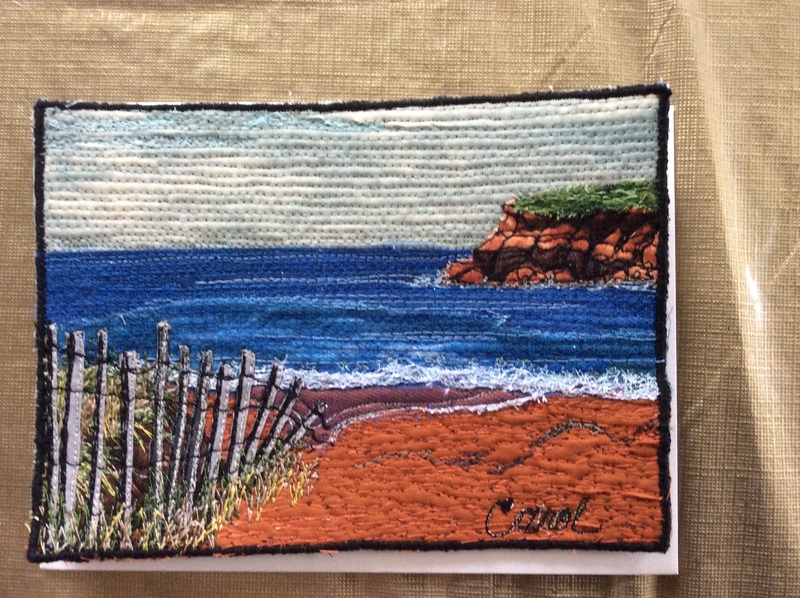 They each did a beach scene that was a typical, rocky Nova Scotia scene in the Saint Mary’s Bay Area. Our lighting wasn’t the best so I apologize for how dark they look. You can see how awesome they came out, though! 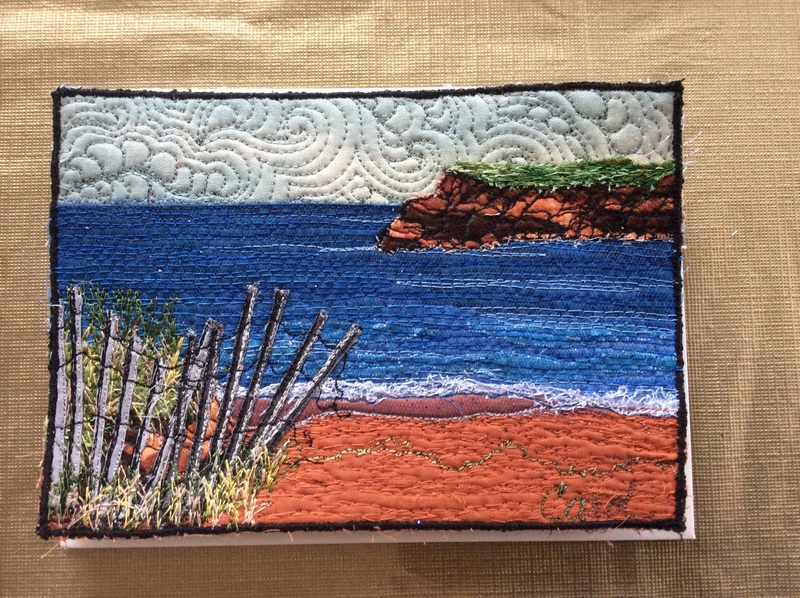 Anyone in the area wanting to take a class like this one is welcome to contact me through this blog or Facebook. The one-day class for an 8×10 is $40. Fabric will be provided free as an introductory offer for your first class. Well, Christmas is almost upon us and thoughts turn to upcoming festivities and dinners. 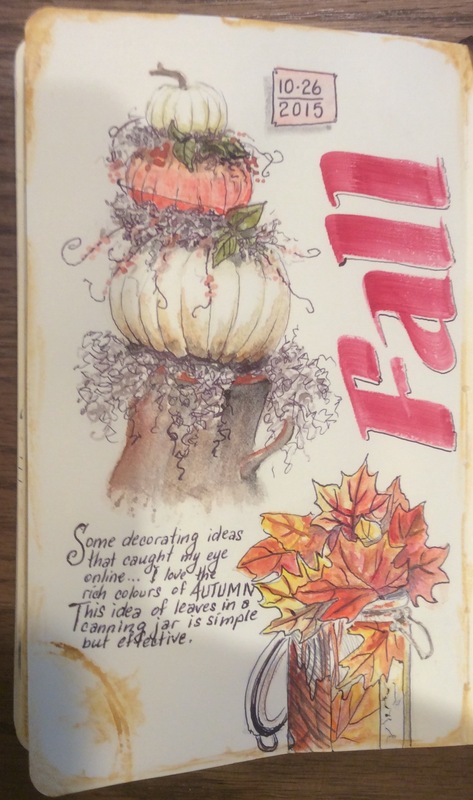 I hope that you are all well and finding time to be creative! We have now been in the new place for a whopping 6 weeks and have accomplished a lot! The studio has been encased in insulation….three walls that needed it and the attic above that half. The pellet stove has been installed and is giving enough heat so that once it is up to temperature in there, we can turn it down to level 2 or 3 for the day. When it is sunny out, the whole place gets even warmer and is infused with wonderful light through the huge windows. 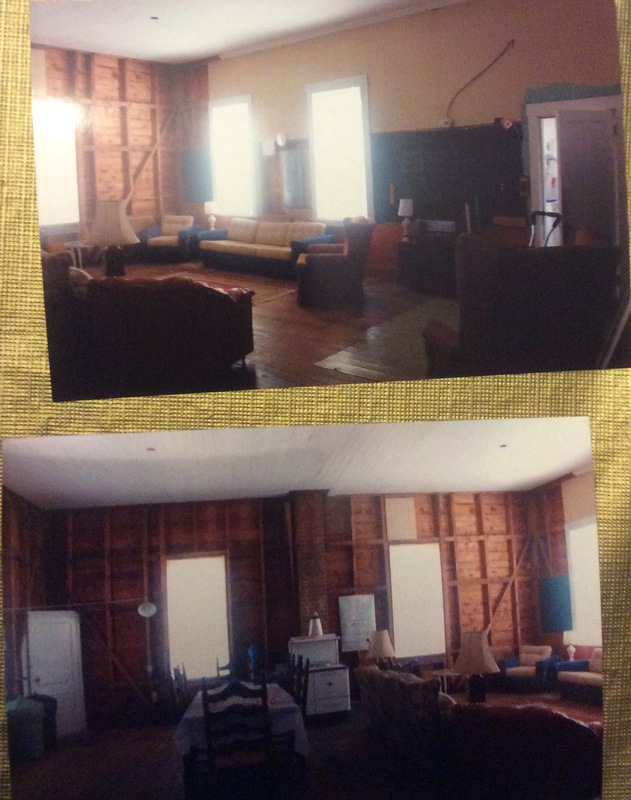 The first photo shows the back wall and the outside entrance. You can see 2 of the tables in a row and a third table by itself with the seating area in the far corner by the pellet stove. The second photo shows the fourth and fifth tables in another row. The last photo is a better shot of the seating area. We love spending time there in the evenings. I staged an open house in the studio this past Saturday, Dec 19th. It was nice to see people from the area who stopped by. Hopefully, classes will begin in the new year! I knit my very first pair of socks…no photo. Maybe the next pair will be more photogenic! I have also taken out and dusted off a knitted scarf project from a few years back…yes, Dee, it’s yours! I am almost finished it and will be mailing it as soon as it is completed!! Better late than never, right? While foraging around in the attic, we came across this cool chocolate box…it would be awesome to be able to buy these now, eh? The he other group is an Adult Colouring group that meets at a local coffee place to talk ‘art’ and colour. Lots of kindred spirits there! I wish you all a very MERRY CHRISTMAS with lots of ‘happy tears and noisy games’ (to quote one of my favourite Christmas movies) May your new year be an adventure to be enjoyed with loads of time for creativity! Well, I’m back now after a few months of working on my latest enterprise. I am embarking on a new adventure! I have been searching for just the right place with lots of room for a studio in a beautiful setting. A lofty goal for a small budget! While camping in Nova Scotia this past summer, I came across the perfect place. In fact, the Realtor I shared my requirements with said he had the perfect place for me and he was sooooo right! This is not just a place…it is a 115+year old SCHOOL!! 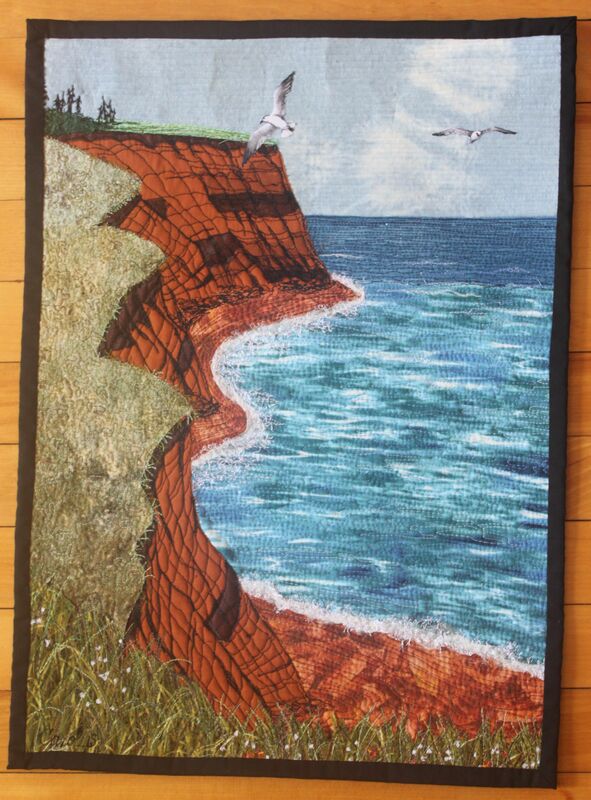 It is located just north of Yarmouth on Highway #1 with the Bay of Fundy practically right across the road! 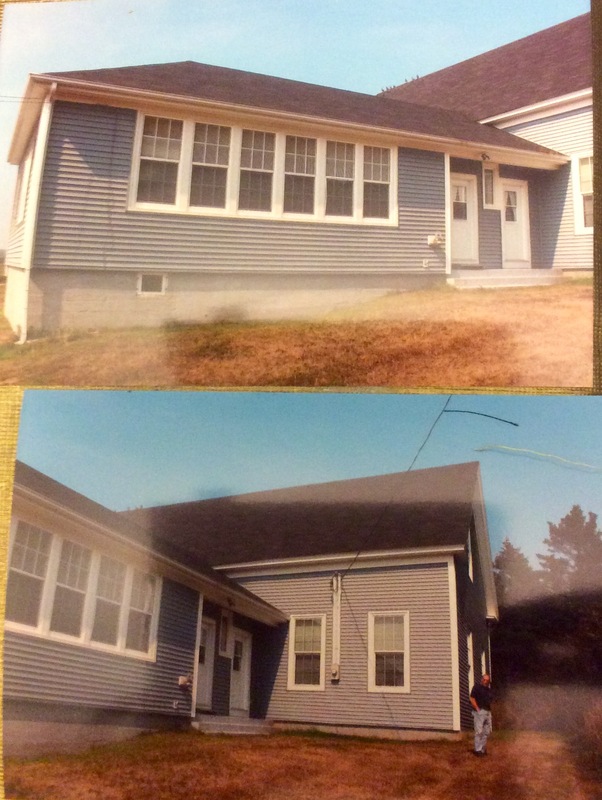 The front part with the 6 windows in a row is the residence and the large, back will be a studio in one half and a workshop for my partner in the other…it even has an automatic garage door! 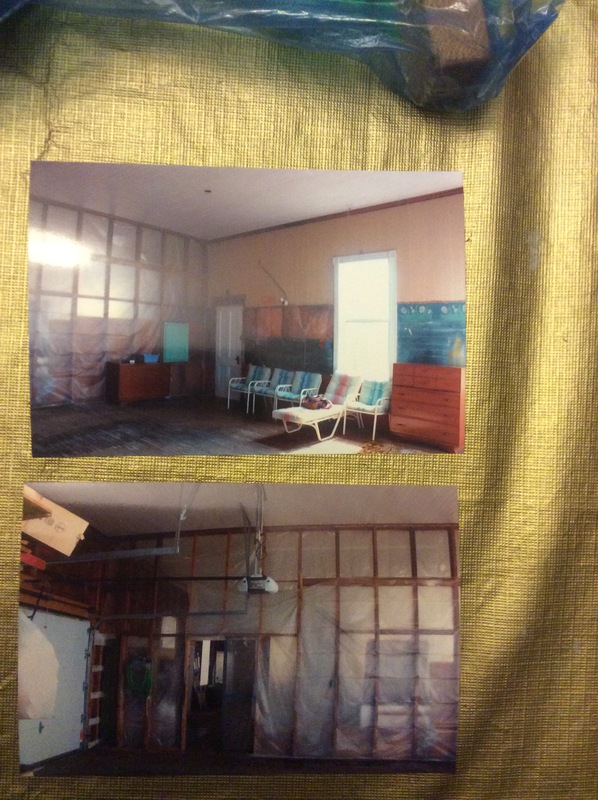 The plastic covered wall separates the two halves….my studio is through that doorway. 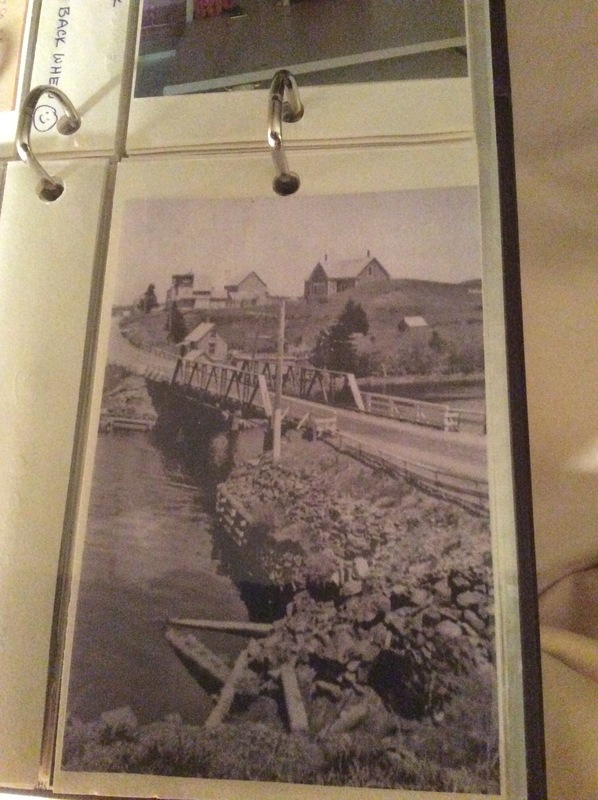 We also found a photo of the school way back in the early 1900s…it is the building on the hill at the right. There are photos online of various class pictures right back to 1902! 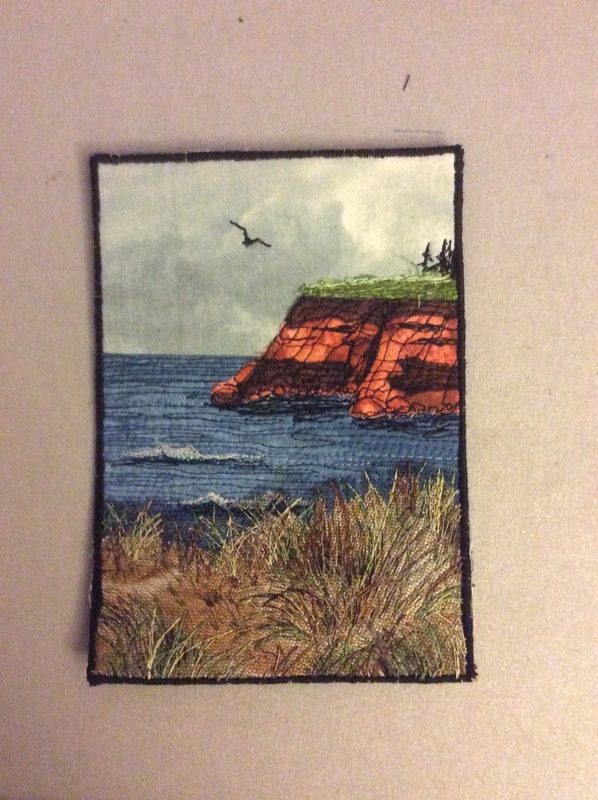 I did a sketchbook journal entry showing the part of Nova Scotia where the place is located. 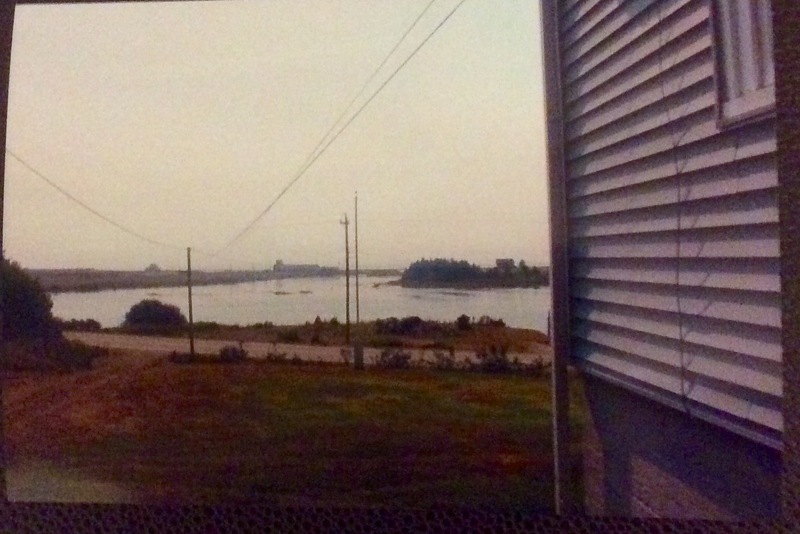 The small picture in the upper left shows the part of Nova Scotia that is enlarged on the right. Ok, on to other things. 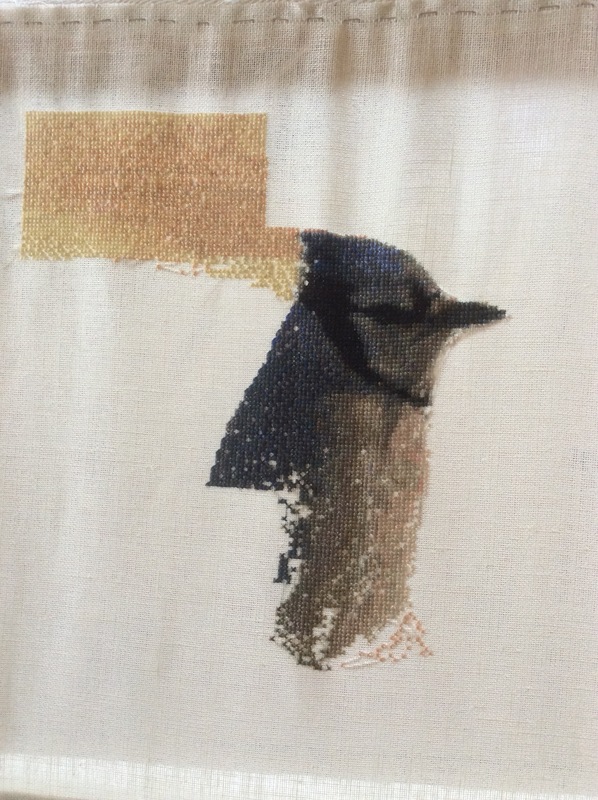 I have been busy with my quilting as well as cross stitching and sketching. 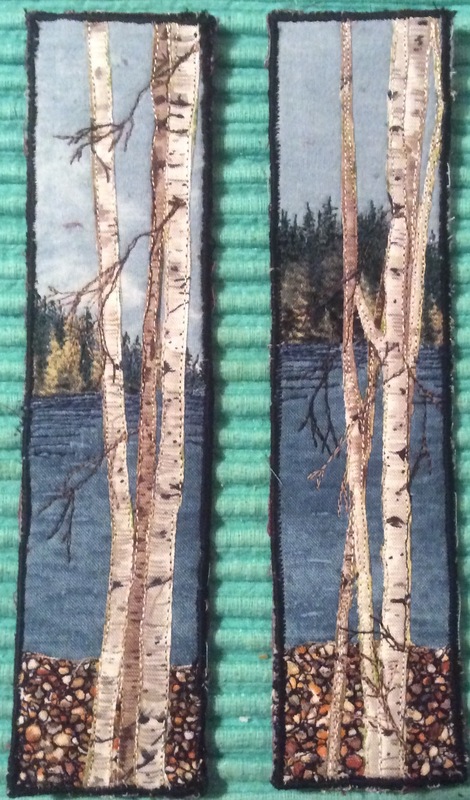 I will start with some recent quilts….they are mostly 5×7 and lately, a few bookmarks. I have taught a few classes in the past few months…not many though. I hope that changes after I get into my new digs! I will have lots of room, there are nice places to stay in the area including a new RV park under construction….if you are interested in a class. 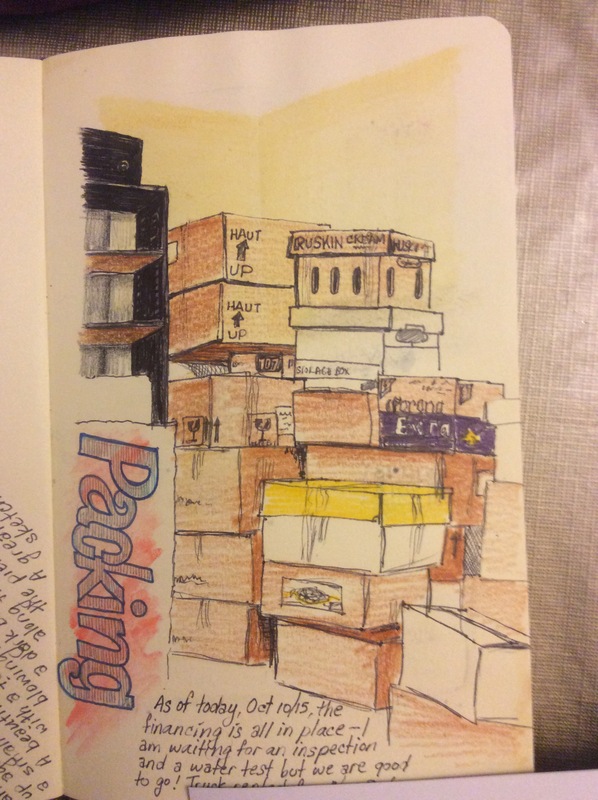 I have done quite a bit of sketching in my journal. 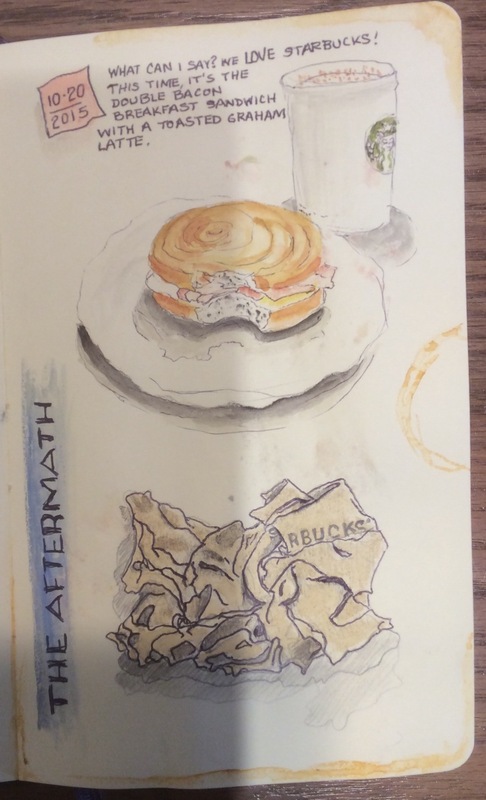 I take it most places with me….mostly I sketch while at Starbucks! I have also been cross stitching. I have done a lot more than this picture shows, and will post that picture in my next post. This is a pattern that my partner has created from a couple of photos taken last winter around the farm. 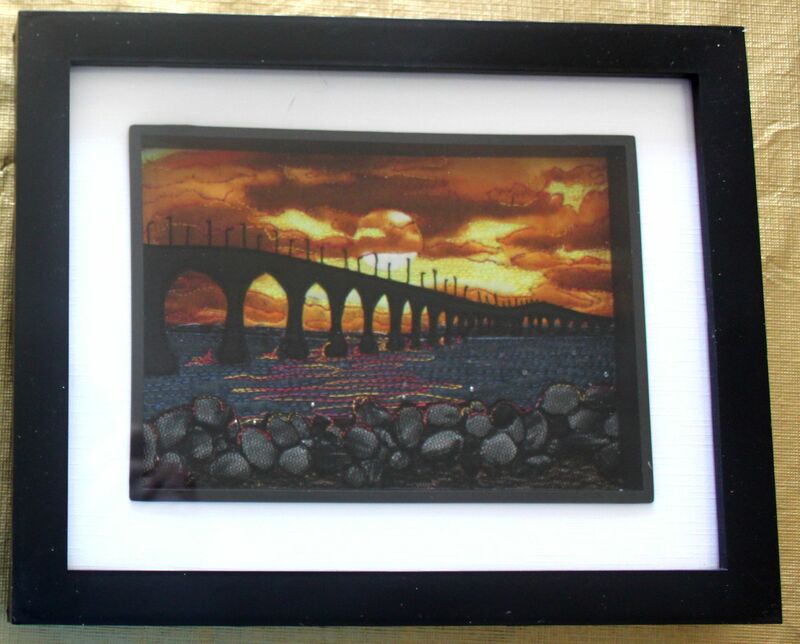 He does amazing patterns showing local scenery. 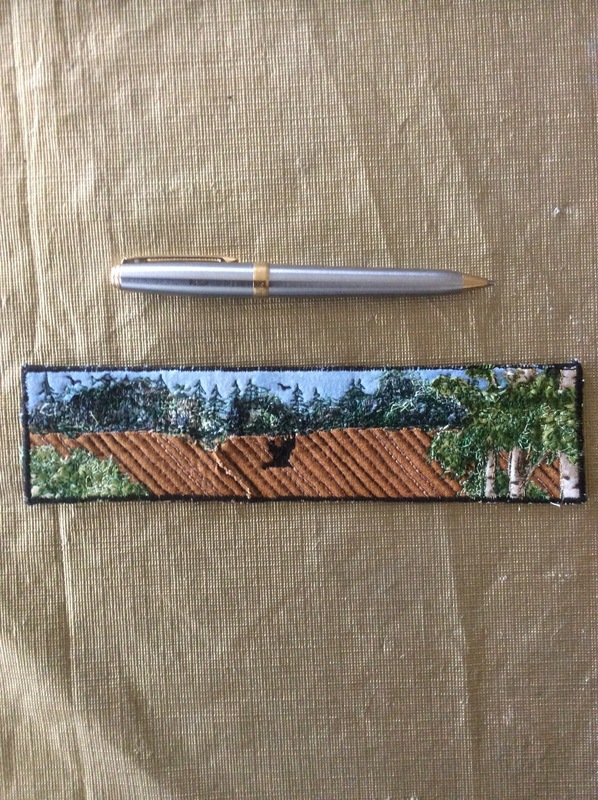 Contact him at bobcomeau.wordpress.com if you are interested in getting a pattern made from one of your photos! 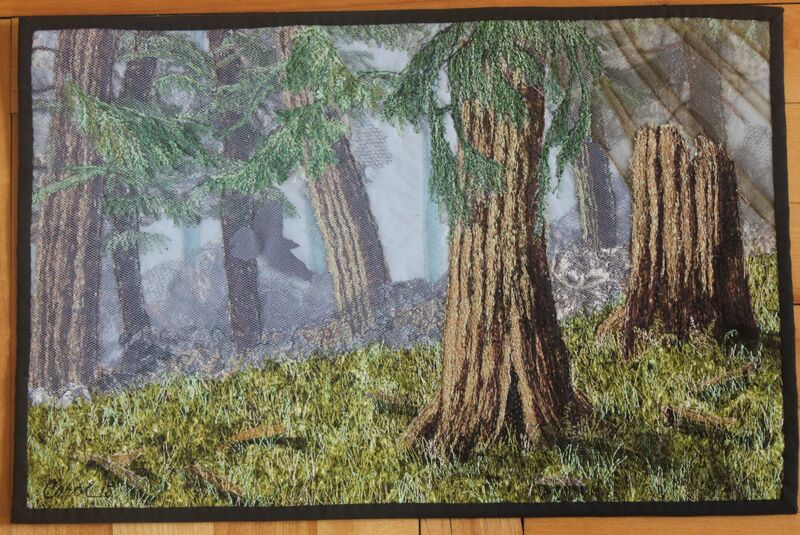 Once my studio is set up, I will be back to posting tutorials of quilts for you to follow. I have a new show quilt ready to start…the master pattern is drawn out…so watch for that process as well. All of of these are 5×7 quilts. I have had a lot of fun designing them. You can see that each one is different, even when the general scene is the same. I don’t use a pattern, just start cutting! 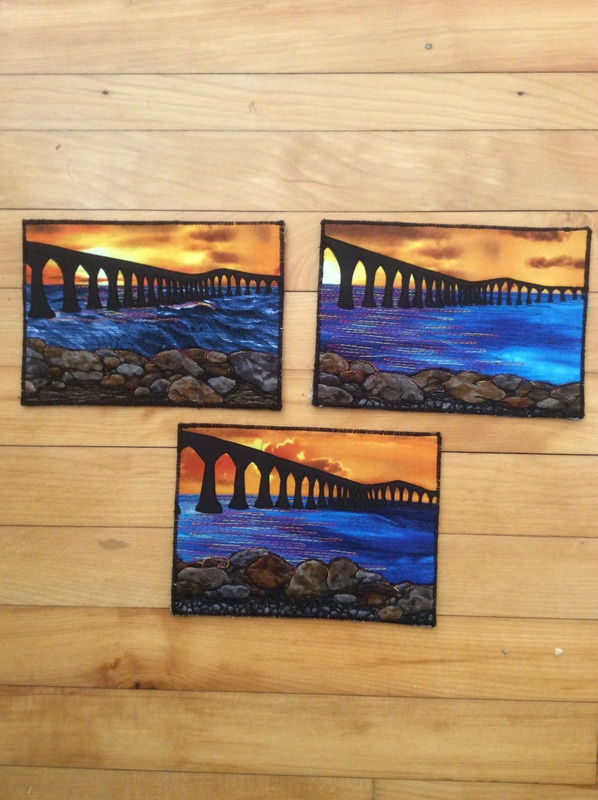 I have finally developed a pattern for the ones with the sunset behind Confederation bridge. 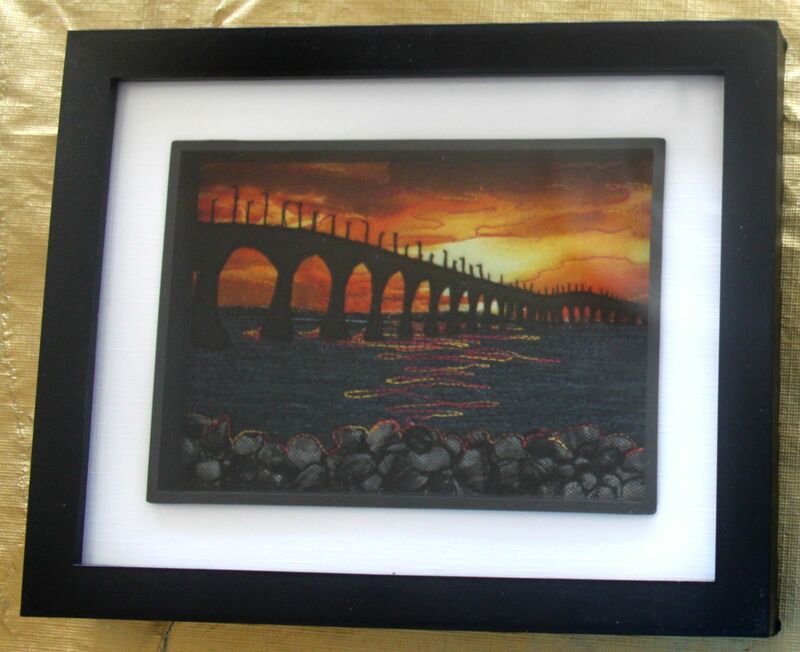 Those are available in some local shops as well as through my blog. The kit with all the fabrics necessary is $25. I will be designing patterns for some of the others as well. the most recent thing I have been doing is painting my first floor cloth. I really enjoyed doing it and am planning on doing a lot more! It took a while to find the varnish, though. I went to many stores here on the island and finally found a great product at the Kent store. 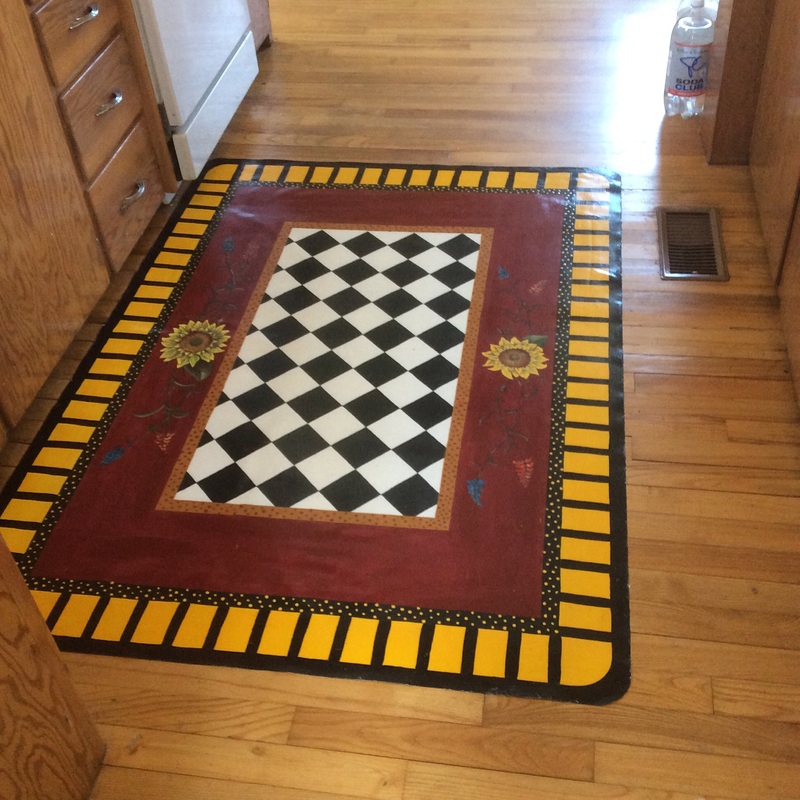 Polyacrylic….we’ll see how it stands up as I placed the floor cloth in my kitchen. Lots of walking back and forth on it. 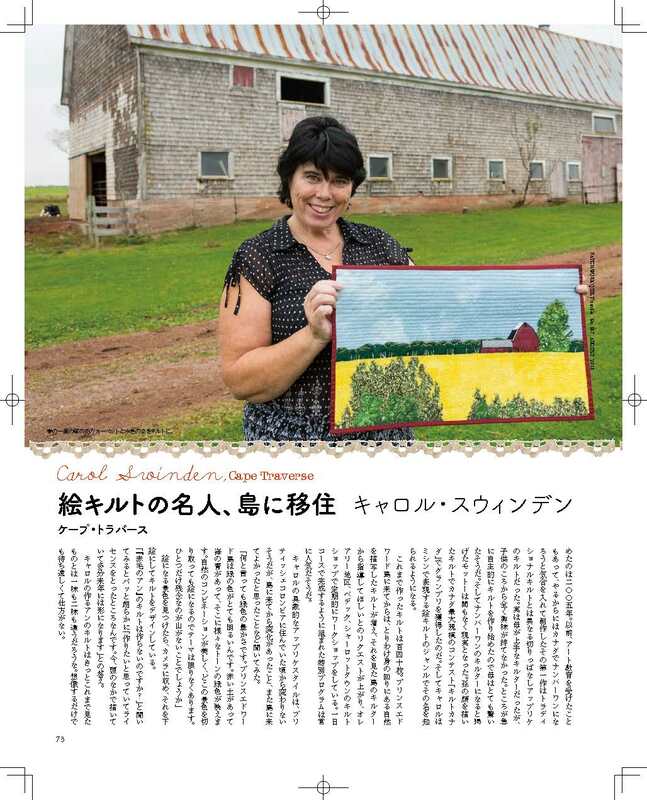 Last Fall, I was interviewed in my studio by the editor of a prominent Japanese Quilt Magazine. She had lots of photos taken and I was told the issue was due to come out this month. I just found out that the issue will not be printed and received this proof of the article. Here it is….. It would have been cool to see it in print, but oh, well….maybe some other time! 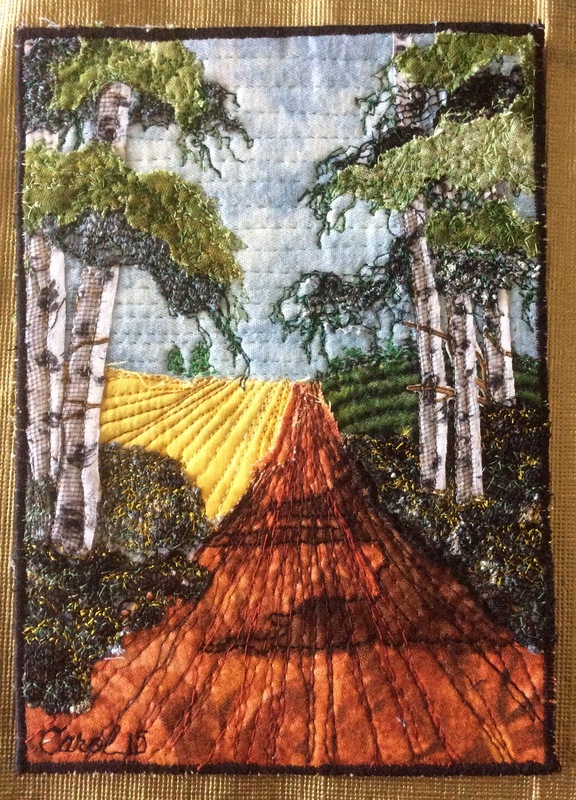 In the last couple of weeks, I have been busy completing projects….here is another shot of my completed Cedars in the Mist quilt…. 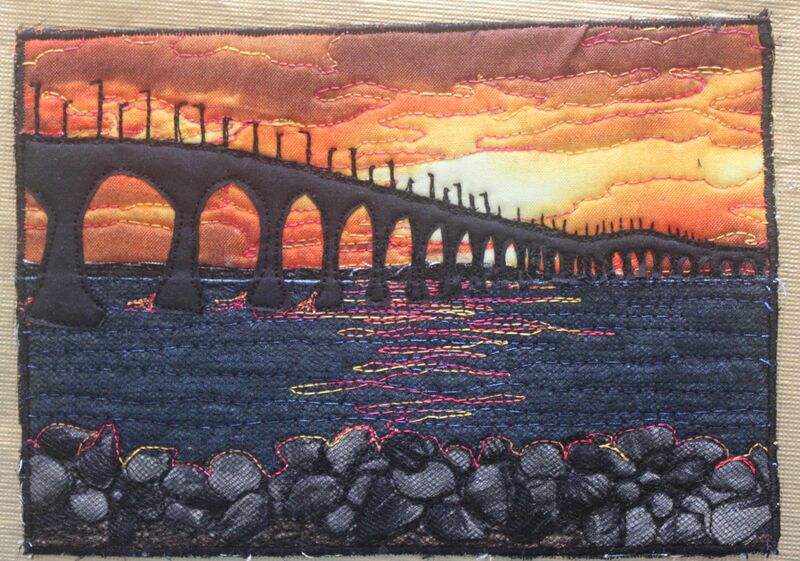 Here are a couple of Confederation Bridge at Sunset quilts. 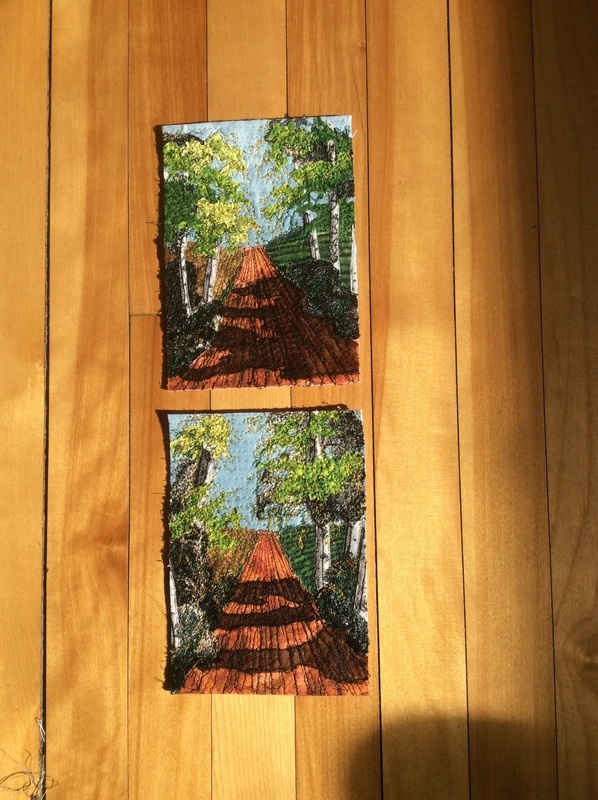 They are both 5×7 and are placed in a local shop for sale. 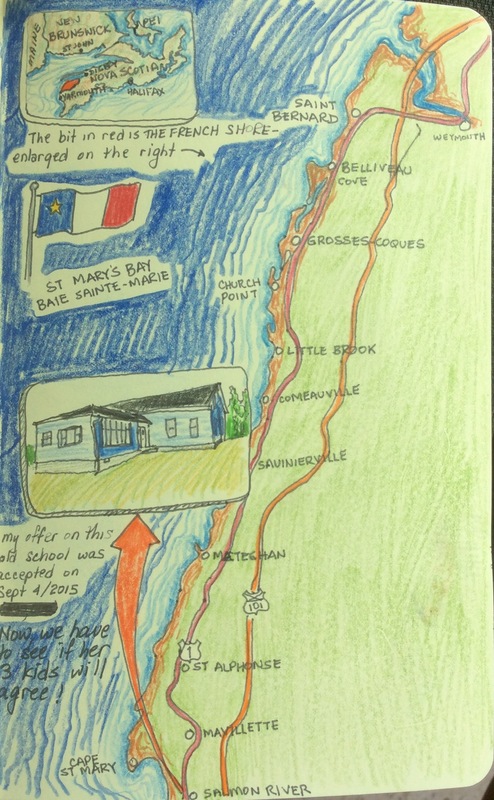 Since I returned home from my Vancouver Island tour ( which was AWESOME!) 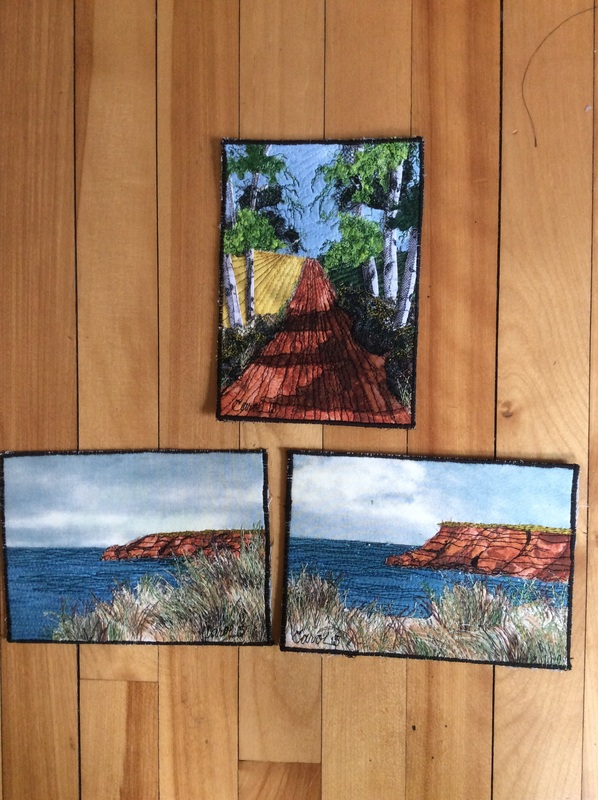 I have been creating new quilts with the Prince Edward Island theme as well as finishing up some UFOs that have been hanging around for a while. 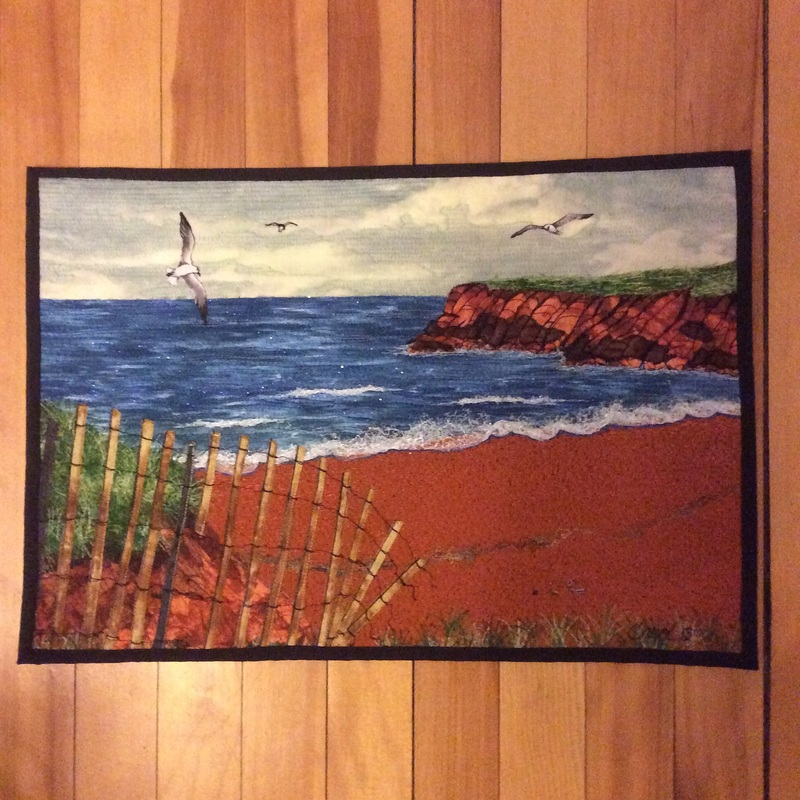 I have been in touch with quilt shops on the island and they are interested in quilts as well as patterns so I have a lot of work ahead! 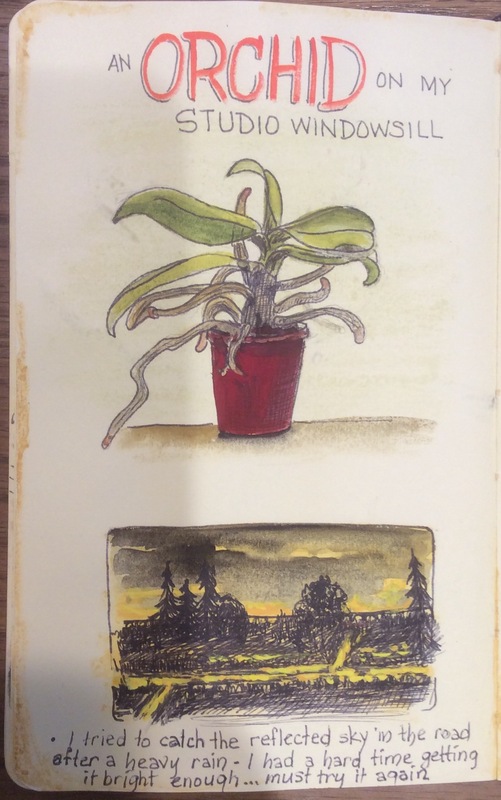 Those 2 are both 5×7 and have been glued to watercolour paper cards for sale. This one turned out to be a favourite of mine. I’m sure you can see the current theme! i will write another post soon showing the finished UFOs plus the start of another very detailed quilt! I have created the master and will soon be starting…stay tuned.